Corbon Ammunition has become a well-respected name in the ammo world due to their proven, high-performance designs and unsurpassed quality control. A proud family-owned and operated business for more than 30 years, Corbon’s modern, cutting-edge manufacturing facility is located in Sturgis, South Dakota. This package contains 20 rounds of Corbon .45 GAP ammunition. Slightly shorter than the .45 ACP cartridge, .45 GAP uses a small-pistol primer. Each round is loaded with a 165 grain Pow’RBall hollow point projectile. 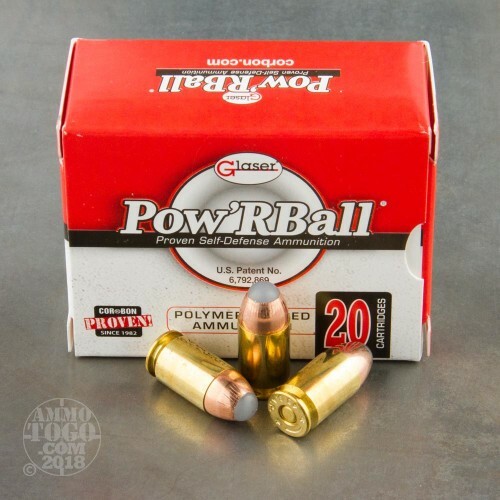 Engineered with a specially designed cavity topped with a smooth polymer ball, Pow’RBall bullets feature a round nose profile to deliver enhanced feeding and function in modern semi-automatic weapons. 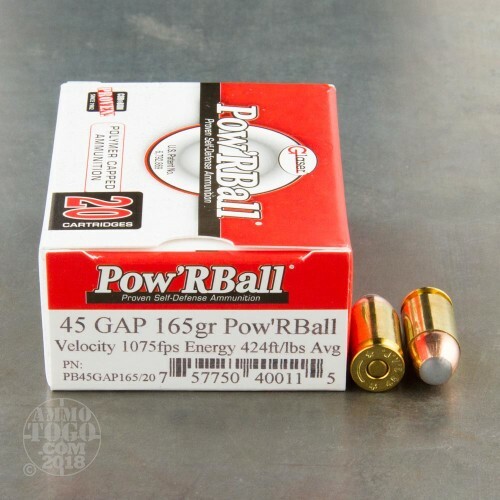 The unique polymer ball works to initiate reliable, controlled expansion upon target impact. 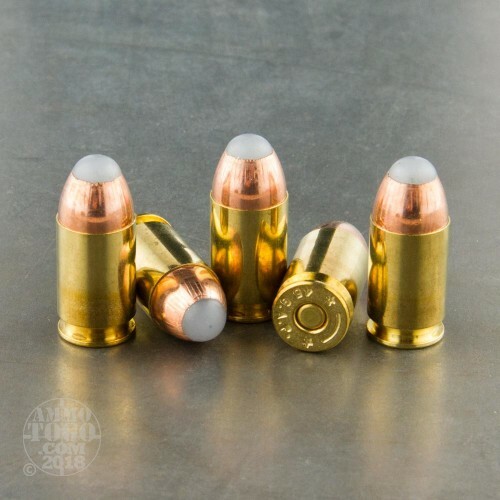 Delivering uniform mushrooming that effectively transfers energy to the target, these rounds provide excellent weight retention and superior penetration even through heavy clothing, glass, and sheet metal. This ammunition is factory fresh, non-corrosive, boxer primed, and features fully reloadable brass casings. Leaving the muzzle at a velocity of 1075 feet per second with a muzzle energy of 424 foot pounds, these loads are ideal for personal protection applications.